J-Ross Developments has successfully secured planning consent for an extension to Oswestry’s Premier Inn hotel at Oswestry Gateway. Shropshire County Council has approved plans for an addition 39 hotel rooms as well as 55 additional car parking spaces. Oswestry Premier Inn was highlighted in Whitbread PLC’S growth plans as one of its hotels that requires additional accommodation. Earlier this year J-Ross Developments submitted a planning application to Shropshire County Council, setting out detailed proposals for the extension to the existing Premier Inn, which was granted planning permission following the usual public consultation. “Oswestry Gateway is a fantastic location, we were not surprised that the group wanted to increase its accommodation capacity here. It has been a pleasure working alongside Whitbread PLC again.” Nick added. 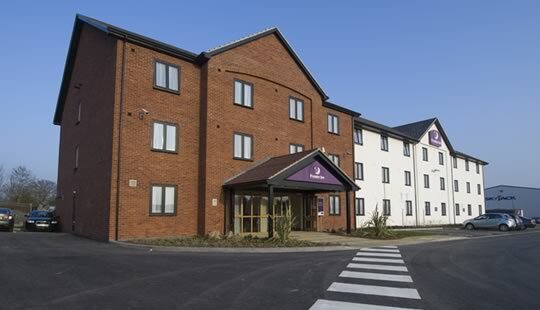 The existing 59 bed Premier Inn hotel was constructed in 2008 with a Table Table restaurant built alongside. The Pickstock Group offered a full turnkey solution to the project. J-Ross Developments brought the planning and design of the hotel to fruition, Pickstock Construction acted as the main contractor and sister company Elements Europe manufactured all hotel rooms off-site in its factory.